Inga was born in Stockholm on the 13th of October 1909. 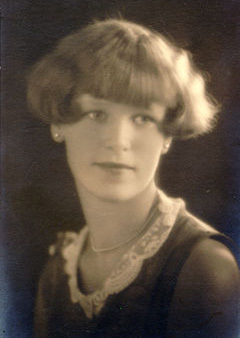 She was the daughter of Martin and Ester Borgstedt. This picture was taken in 1925 or 1926 when she was only 16 years old. About four years later she married Wilhelm Hagwall on the first of January in 1929.